Wireless data transmission between sensors and display. 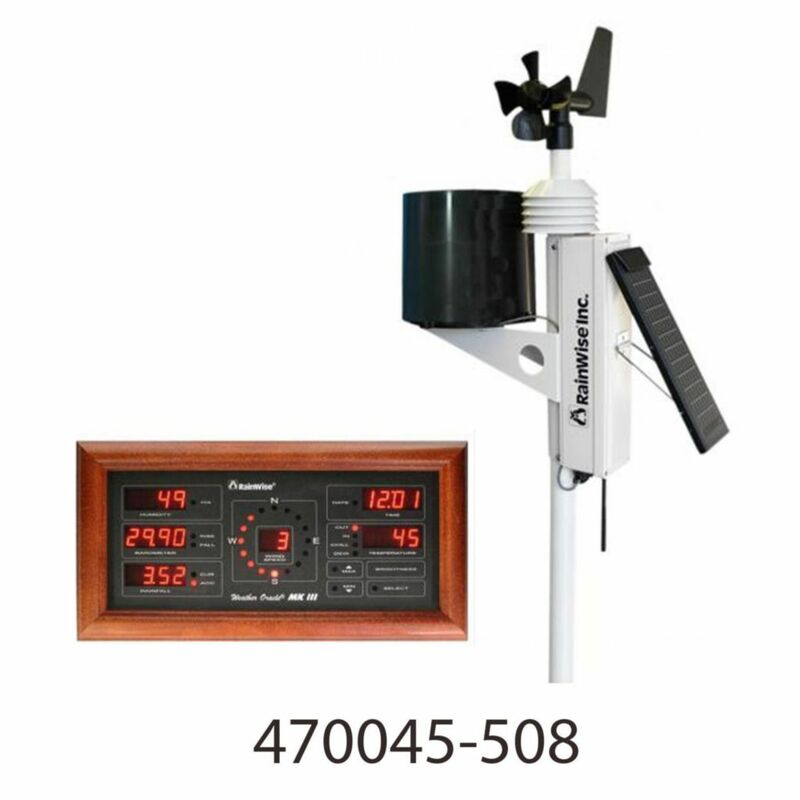 Special bundle includes MK–III–RTI–LR rooftop sensor unit with rain gauge, plus weather oracle digital display in cherry finish. The MK–III sensor assembly has been designed to offer improved durability and serviceability. This sleek new design is 33 inches high and weighs just over 7 pounds. It is the most accurate, durable and easiest to install weather station available. The initial sensor calibrations for wind, temperature, relative humidity and barometric pressure are traceable to the National Institute of Standards and Technology. The Oracle Display for the MK III Wireless Weather Stations receives the weather instrument data via radio signal from the MK III sensor assembly. Every measured or calculated parameter has a display, including a wind direction indicator. Some windows have options on what is displayed, the temperature window will display either outside temperature, inside temperature, wind chill or dew point. In addition to the real–time data, the Weather Oracle records minimum and maximum values, with time of occurrence, for wind speed, temperature, relative humidity, temperature humidity index, dew point, and barometer. For rainfall, two different accumulations are recorded. Each rainfall counter shows the time and date of the last counter reset.